Drums sampled in the style of Motown Soul! Get Out the Funk and Soul With This Retro R&B Drum Kit! 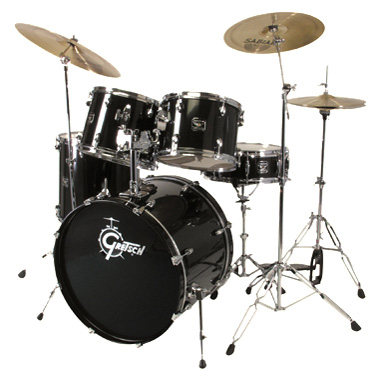 This product is a multi-sampled vintage Gretsch® drum kit made to be played from Sonic Reality’s Infinite Player. This is a classic soul kit recorded with snares on in a medium sized room in a Nashville studio. It is the ideal companion to the multi-track Motown and Soul Groove Sets in the Studio ProFiles Drum Masters series. 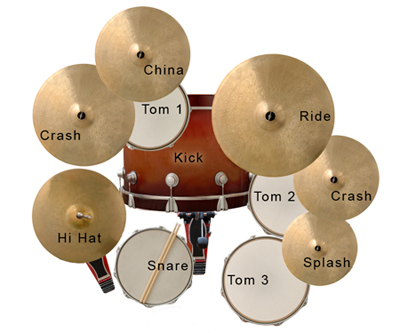 However, the kit itself can be used for a very wide variety of music styles. 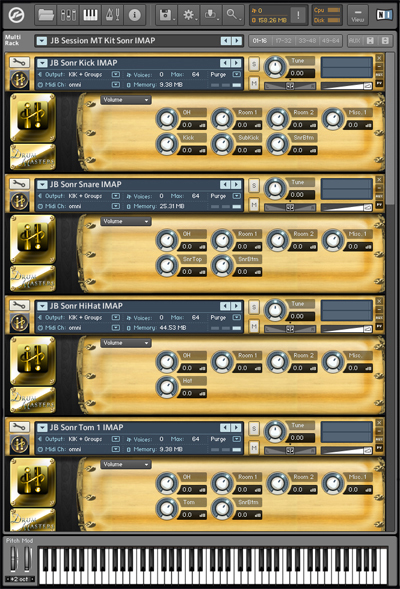 This is a great sounding vintage kit ideal for R&B, Soul, Funk, Pop, Hip Hop and other styles. As the name implies it is infinitely expandable with more downloadable sounds in the “Infinite Player” format. Gretsch Hammered Steel Snare: 14" x 4"
Kit Info: This five-piece Gretsch drum kit comes complete with a wide range of cymbals. It was engineered in the classic Motown Soul fashion, and its wide range of cymbals and velocity sensitivity makes it a wonderful addition to your studio.